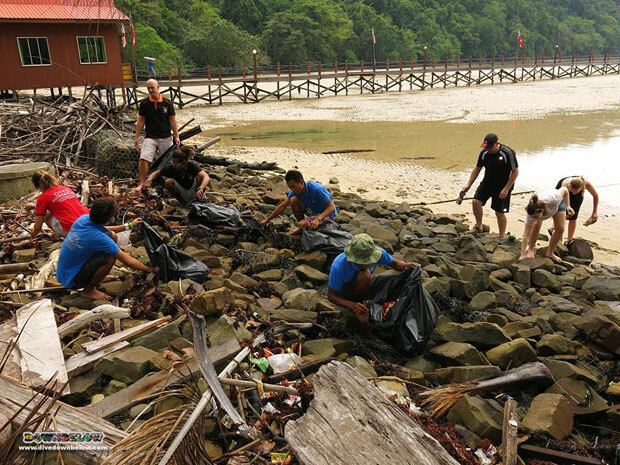 Our awesome cleanup crew which this month are made up by the whole Downbelow island team were joined by a few guests who are also passionate about conservation and support clearing marine debris from our shoreline. Yesterday we focused on the rocky areas in front of the dive centre where floating litter becomes easily trapped. Some of our team clean everyday of the year but this month we are supporting the Project AWARE Foundation & marine debris awareness month by putting in some extra effort… what about you?